The grant, announced Feb. 6, will finance increased roadway capacity for the port’s north side cargo roads, new intersection signals and additions to the roadway network. The project also will include new signage throughout the port to help people navigate the facility. Port Canaveral, which functions as a cruise and cargo port, is governed by the five-member Canaveral Port Authority Board of Commissioners and John Murray, who serves as port director. A captain in the U.S. Coast Guard, Murray led container fleet Hapag-Lloyd USA before joining the port in February 2016. 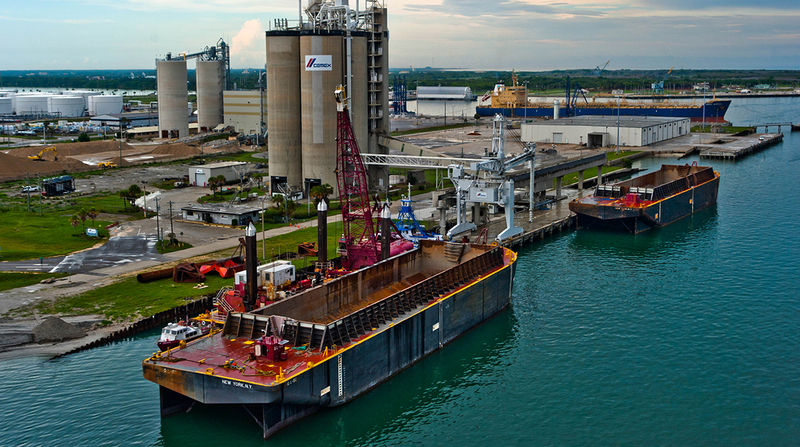 The Canaveral Port Authority Board of Commissioners voted 5-0 Feb. 7 to authorize the port to accept the award and enter into an agreement with the Florida Department of Economic Opportunity. The grant will fund the paving of Snapper Road, one of the port’s artery roads that is made of dirt. Snapper Road eventually will serve as the primary access point for North Cargo Berth 8, the proposed $78 million project to offer facilities for the commercial space flight industry. Two other arteries, Magellan Road and Grouper Road, will be repaved, while Payne Way will be widened to two lanes in each direction. The port authority also is refurbishing the roads that lead to cruise terminals, located on the west side of the port. Carnival, Disney, Royal Caribbean and Norwegian cruise lines all have hubs at Port Canaveral. “Anything that smooths the traffic flow in and out of the ports is going to be extremely valuable. On certain days of week, people flood in here to catch ships,” Florida Trucking Association President Ken Armstrong said. A variety of travelers make up the Port Canaveral traffic. Tourists trying to catch their ships, employees at the nearby Cape Canaveral Air Force Station and dispatchers connecting to Morton Salt’s distribution center are among the many people who congest State Route 401, which loops around the port. According to Murray, the grant will facilitate traffic movement. Port Canaveral, which is about an hour drive from Walt Disney World in Orlando, is important for cruises. According to the port’s website, Port Canaveral is ranked as the world’s second-busiest cruise port in multi-day embarkations. Port Canaveral also serves an important role in moving cargo. According to Murray, the port moved 11,394 twenty-foot equivalent units in fiscal 2017. The port is a gateway for all manner of cargo types, including containers, roll on/roll off and break-bulk commodities. Murray said the port also handles frozen produce and fresh vegetables. Port Canaveral processes millions of gallons of transportation fuels, including jet fuel for airports in central Florida. The Port Canaveral award was one of nine totaling $35 million granted through the Florida Job Growth Grant Fund. This fund, overseen by the Florida Department of Economic Opportunity, supports public infrastructure and workforce training projects. The nine recipients mark a handful of the 225 proposals submitted, which sought a total of more than $821 million.